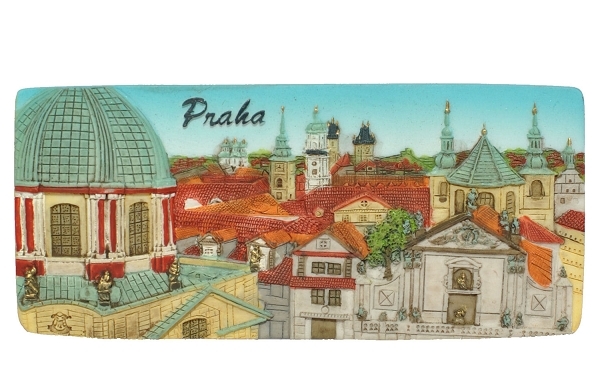 Ceramic embossed fridge magnet featuring the panorama of Prague Old Town, full of medieval towers, spikes and roofs. Perfect memory of the magnificient views of the Prague city center to be put on the door of your fridge. Elaborated in high detail and fidelity to preserve realistic view of the city. Designed and manufactured in the Czech Republic. Made of non-glazed ceramic, hand painted.